Sudanese protesters wave their national flag and chant slogans during an anti-government demonstration in the capital Khartoum's twin city of Omdurman on Jan. 31, 2019. 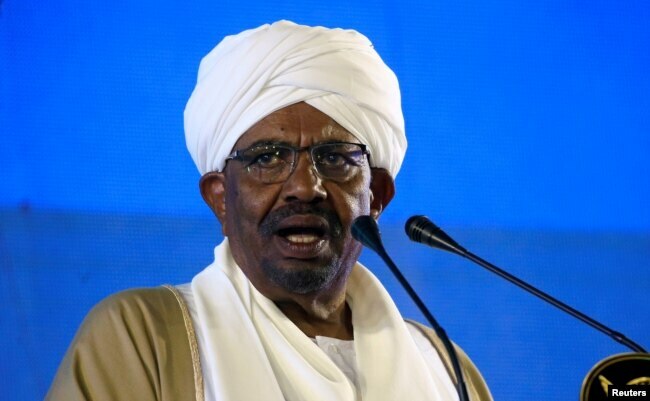 As protesters demonstrated in parts of the Sudanese capital of Khartoum on Thursday, President Omar al-Bashir visited the northeastern state of Kassala, announcing that the border between neighboring Eritrea and Sudan would be reopened, after a year of closure. Al-Bashir said that he greets the people of Eritrea and its president and he proclaims that the border between the two countries is now open because they are our dear brethren, despite the fact that politics has caused division among us. Al-Bashir went on to tell supporters that it was the "duty of the government to have a dialogue with young people" and that the government must "educate them and provide for their needs." He said that there will be no change of government or of the president via Facebook or WhatsApp, and vows that change will only take place at the ballot box. 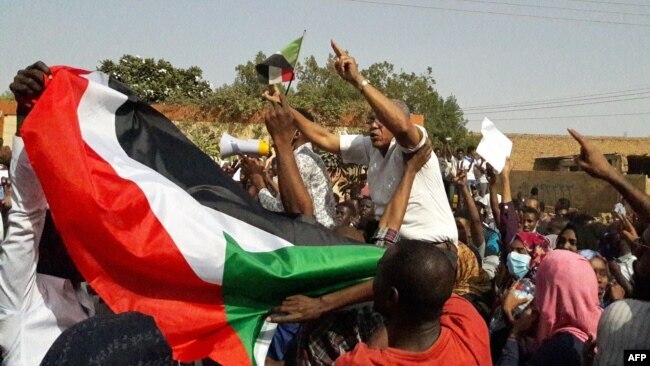 Sudan's Association of Trade Unions called for another day of protest against the government Thursday, prompting a number of demonstrations in Khartoum and other parts of the country. The group's spokesman, Mohammed Asbat, told Alhurra TV that the government's appeal for dialogue with young people and the release of prisoners is not sincere. Asbat said that the government's message that it is releasing prisoners and undertaking dialogue is intended for the consumption of outside countries who have been warning it not to arrest peaceful protesters and to release them. Opposition leader Miriam Sadeq al-Mahdi, who was briefly detained by Sudanese security forces Wednesday, told Alhurra TV that the government's efforts at dialogue "have failed," and that in the face of a "growing revolution," it has resorted to "arresting young people." Al-Mahdi said that President Bashir's round of visits to far-flung provinces does not reflect any desire on the part of the Sudanese people that he remain in power and that it is normal for dictators to draw their supporters around them to make it look like they are popular. Sudan's intelligence chief, General Salah Gosh, has met with a number of young protesters who have been jailed for taking part in demonstrations, but opposition leaders said that he and the government have released "very few prisoners," out of the several thousand they said are being detained. Gosh insisted in a speech to military cadets that outside forces are trying to create chaos inside the country. He said that there are forces trying to create chaos in the country and cause economic hardship for its people, but that (the security forces) will combat them with force and determination and restore order. Al-Arabiya TV reports that Gosh asserted that "leftist parties are trying to overthrow the government," and state that a number of armies or militia groups are "waiting for Khartoum to be engulfed in chaos, in order to march on the capital and seize power." 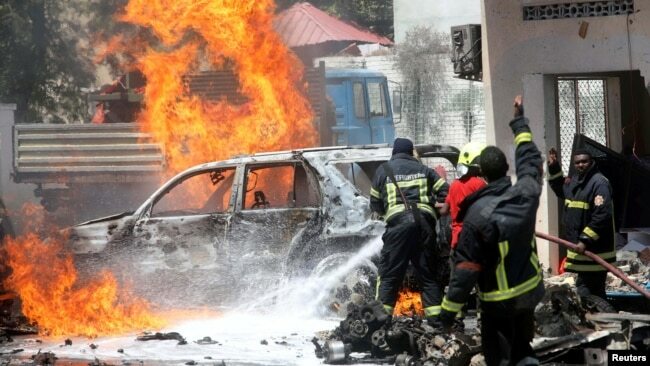 Somali firefighters try to extinguish flames at the scene of a car bomb in Mogadishu, Jan. 29. 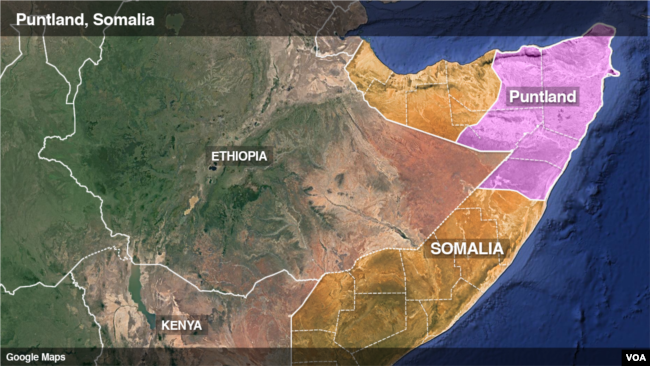 Al-Shabab and the Islamic State are battling in the country's mountainous northeast. Puntland, Somalia. The region of Bari is the tip of Puntland. “Al-Shabab is more powerful, but IS also showed they are not a pushover. Indeed, it's IS that provoked al-Shabab and tried to conduct activities in the south,” he said, referring to IS attempts to extort businesses in the south.